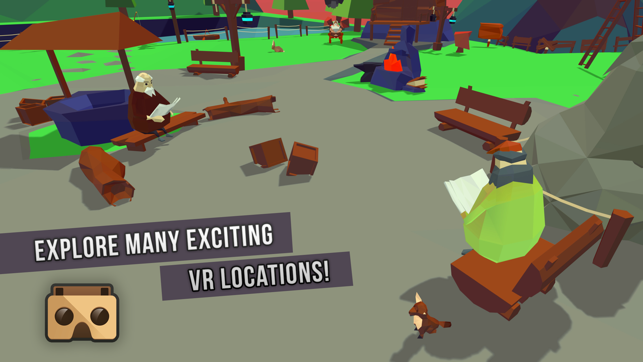 An open world VR experience! Choose your trail in this beautiful fantasy open world! 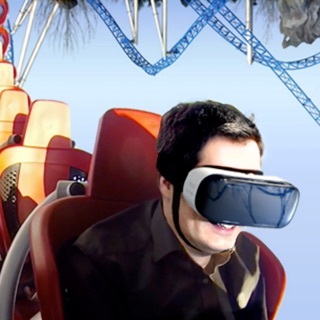 Experience amazing visuals, events, roller coasters, tours and rides that bring out the best in mobile Virtual Reality - VR. Journey across beautiful landscapes to reach the town of secrets, can you uncover all of its mysteries? 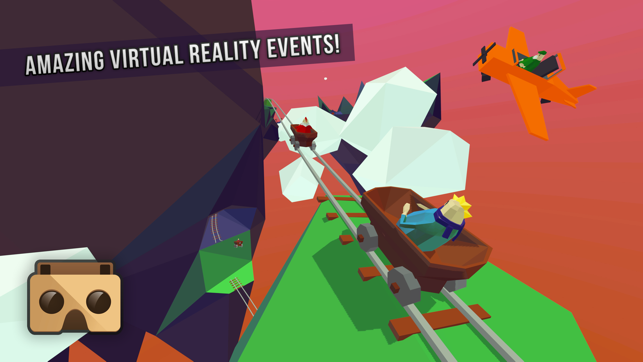 - Rollercoaster: Discover the great mine and enjoy the rollercoaster. - Flying: Learn the secret and fly across the world in an airplane. 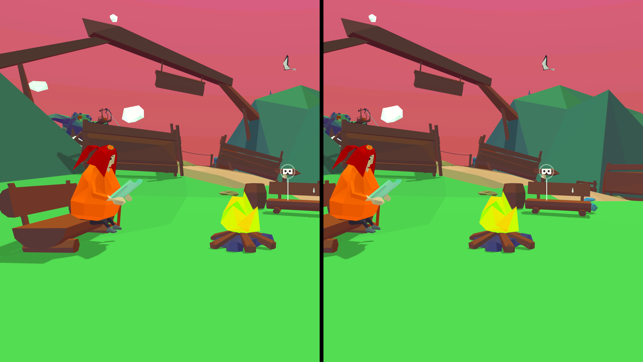 - Characters: Find all the characters and villagers to interact with in VR. 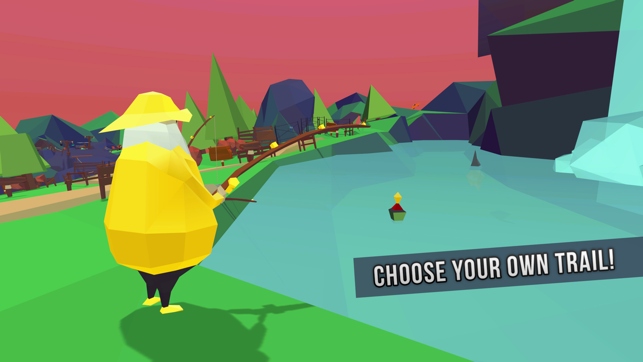 - Fishing: Let the fish surprise you! - Paragliding: Glide through the skies! - Hidden message: Will you be able to discover the message? Travel / roam freely or stand still to take in the view. Simply look at your feet to toggle walking, look at the recognizable cardboard symbol to activate events or be surprised by the relaxing vistas. Enjoy full 360 degrees vision! Trail World offers many zones to discover such as the: Sky island, Waterfall, Farm, Town. The snow world, desert landscape and giant cave are planned for an upcoming update. All completely free! 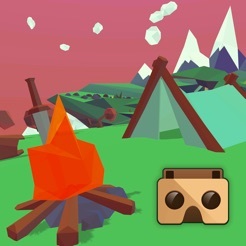 Trail World is compatible with all popular mobile VR headsets / goggles such as: Cardboard, ImmersiON-VRelia GO, Durovis Dive or HOMiDO. Tip: Shutting down other background tasks / apps may help with performance. This should result in a smoother framerate and lower headtracking latency. Created by No Pressure Studios, an indie game development studio that loves making games everyone can enjoy! 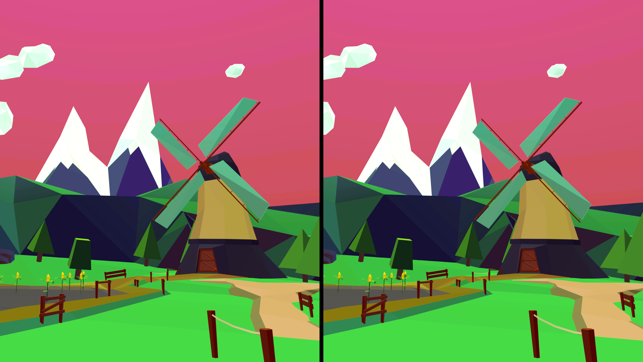 - New zone and events, take a look at the windmill! - Game-pad / controller support. - Fixed crash on certain backpacks/checkpoints. When you just want to be a kid again! 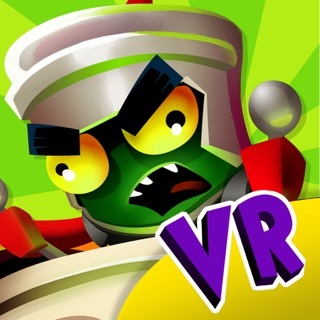 If VR is what you are looking for on the iPhone, look no further than Trail World VR. It’s an unguided experience, where you just go. Take time adapting to the controls before you take off. • Some may find the ride portions a bit disorienting, so I recommend users who experience frequent motion sickness keep their ride vehicle in view for a stable reference point. • I did notice a bug where when exiting the plane, the plane’s audio did not stop. Simply restart the app, and the problem goes away. • If you want easier walking control, I highly suggest using a MFi controller. Just pair and launch. No crazy settings or elaborate control schemes. At first I was confused how to work it but then when I found out how it was amazing. My favorite is the roller coaster ride when you fall through the ground. 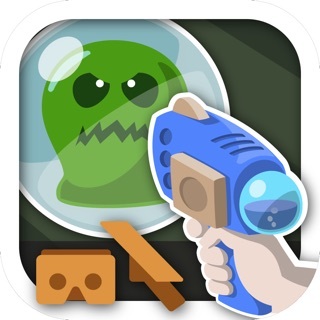 If you are having second thoughts get this game it is free and fun also funny when you watch people play it. The worst thing is when it plays an add before you start but otherwise I love it!!!!! © Copyright 2016-2017 No Pressure Studios.